We’re so excited to introduce this month’s Giveback Partner Spotlight! Kimberly Pendleton (Kim) met Kurandza's founder, Elisabetta, at a transformational retreat in Tulum, Mexico last year, and has supported Kurandza ever since! 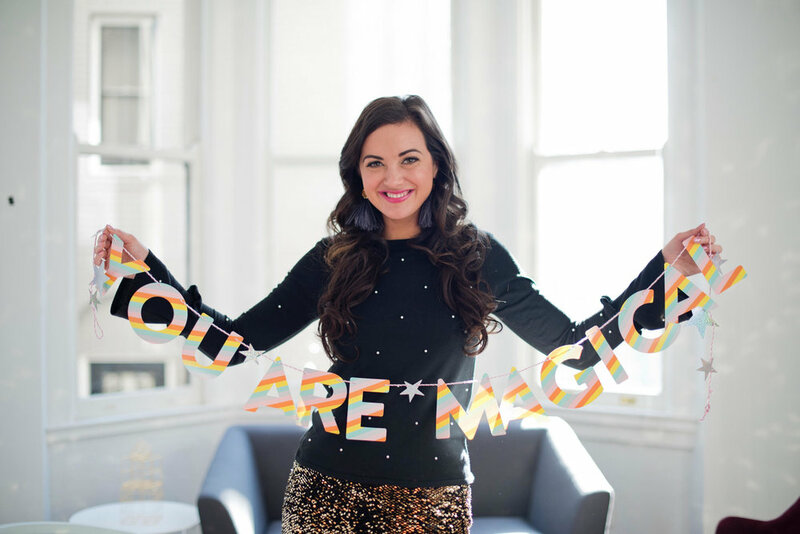 She is the founder of Heart Space, and she works to empower women all over the world-- both internationally and here in the U.S. She is an inspiration to all who meet her! We are honored to have Kim as one of our very special Giveback Partners! Grab a cup of tea and enjoy the interview and then be sure to check out Kim’s website and Instagram where she shares inspiration for purpose-driven women (and men)! Can you tell us about the backstory of Heart Space? What motivated you to start it? I started Heart Space because I had totally transformed my own life, and wanted to create a space for other women to do the same thing. I had gone from seriously doubting myself -- thinking that there was no way I could have a life that felt really good while making a difference -- and then ended up making these really doable changes that enabled me to get crystal clear on what I wanted: how I wanted to feel, what kind of relationship I wanted to have, and how connected I wanted to feel in my body. What is your favorite aspect of running your own business, one that empowers women all over the world? For so long, I felt like I had all this knowledge that was trapped inside me! I was mentoring clients and students on a small scale, but once I started Heart Space, not only could I reach more people but I could connect them with one another! Then it got really fun. We are all part of the revolution in which women create the world they want to see, serving others while also feeling empowered, emboldened and alive. It's radical! How did your Global Feminism studies shape your career path? As a scholar and professor of transnational feminism, I really see the connection between women's freedom and safety around the world. I see a world in which women everywhere rise up and support one another, creating lives they adore that actually have ripple effects of empowering everyone around them, and even beyond, through their engagement and awareness abroad. Tell us about your Empowerment Mastermind! Yay! The Empowerment Mastermind is a six month incubator for women to create the life of their dreams. You can participate from anywhere in the world, because it revolves around online content and an online community, as well as coaching calls, but for anyone who can join in person, we also start and end with two amazing retreats in Washington, DC. It is a very results-oriented program, the women in it go on to change jobs and launch businesses, revive their marriages or have more fun dating again, and feel more at home in their bodies and in their lives! It's really amazing. I bring guest mentors on to offer expert guidance in each topic, which range from love and romance, to the body, to purpose and career, and more. Plus, each round of the mastermind sponsors a young woman through Kurandza to go to school! (Because all of our empowerment is bound up together. As her empowerment deepens, so does ours.) We love Kurandza! I've been very motivated as a feminist since I was quite young! I felt very connected to the idea that girls could do anything they wanted, and then quite confused that the whole world didn't agree. :) I've tried to actually stay connected to that confusion, in a way, and remember that it is actually equality and justice that make sense, not the other way around! Why did you choose to partner with and support Kurandza? I'm a huge supporter of education!! (Obviously!) I love that Kurandza makes it possible for girls to learn. It truly changes everything. You’ve personally been sponsoring the education of one girl, proceeds from your mastermind have sponsored a second girl, and you're sponsoring a third girl through the next round of your mastermind. How does that tangible impact make you feel as a partner? Actually, I also convinced my partner to sponsor a someone as well! It is so beautiful to feel so united in the goal of freedom. Kurandza is such a reminder of what we want in life, to let our work and action make it possible for everyone to create the life of their dreams. I would encourage anyone who is considering it to partner with Kurandza, as it continually draws you back to what matters, and what values are guiding your life. Older PostFirst Day of School for Kurandza Sponsored Girls!